Have you seen this? I was so intrigued when I saw it in a how-to photo on a blog. 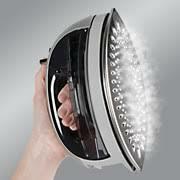 Two features I appreciate: It’s cordless, and features a double point soleplate for ironing in any direction. The cord always seems to be in the way, and how many times have you cleared the ironing surface when the cord sweeps across the surface–annoying! Plus, the double point soleplate makes lots of sense. Did I say it also this iron steams in the vertical position?! 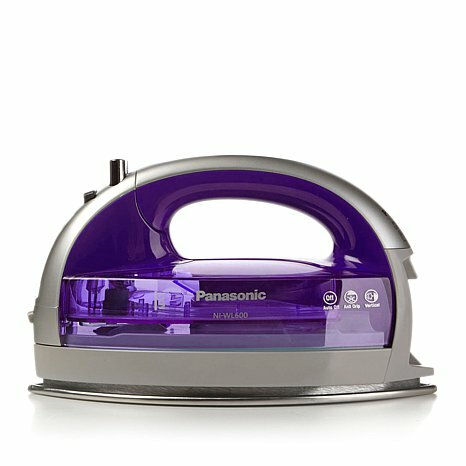 One appliance for many functions! I’m on a Live Simple whirl so deleting ‘one use’ appliances is appealing. 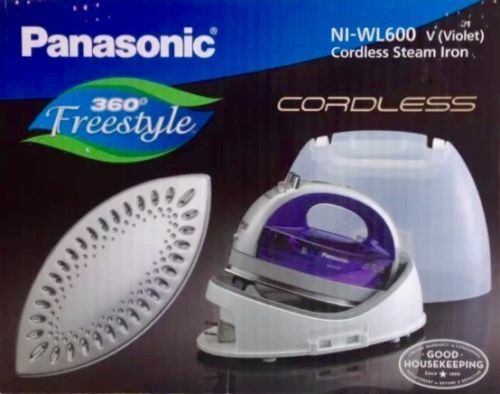 Which reminds me, bet there are a couple of travel irons (dragged to Hong Kong and never used; 2 seconds in HK humidity negated any previous ironing), portable garment steamer–never used, and, oh yes, an electric current converter–probably out of date. How the Panasonic 360° Freestyle works. Here’s a Hammacher Schlemmer model; similar price but appears to have more steam vents. Do you have one? Or a any cordless iron? Tell us about your experience by leaving a comment. This entry was posted in FIBER FASHION FUN and tagged cordless, double point soleplate, freestyle, iron, Panasonic.. Bookmark the permalink. I will be interested to hear views on this!